We tried out the latest Si. 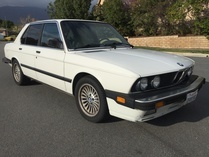 Anyone here think this car is worth the money? You can, after all, get a lot more power for that kind of dough. Yeah, totally worth it if you need a new, white sedan. Yes, white is a requirement. I say it is worth it because there are idiots out there wanting $18k for 2008 Si Sedans. They'll never get it from anyone with half a brain, but that makes the 4k jump to a new, unowned, 0 mile model better than most. I drove my wife's 2000 Civic Si today. Damn, that car has aged well. While I've only test-driven the previous generation Si, I've played the mental game of "which $22-$24k car for a daily-driver", and keep coming back to the Si. Yes, I know it pales to its forbearers. Yes, I know the Speed 3 is faster, as is the GTi. But my(also limited) experience with the Speed 3 left me feeling that it was a tarted-up econobox and lacked quality. And while I was a VW fanboi for years, the thought of owning a modern Dub long-term gives me shivers of fright from never ending CELs and random electronic weirdness. "Oh, and don’t forget orange gauges, a Civic Si hallmark since day one. " My '89 Si didn't have orange gauges. petegossett wrote: Yes, I know it pales to its forbearers. Yes, I know the Speed 3 is faster, as is the GTi. But my(also limited) experience with the Speed 3 left me feeling that it was a tarted-up econobox and lacked quality. My 08 sedan feels that way. Too much plastic that isn't tight fitting, rattles in the seat belt re-tractor by my ear, door weatherstripping not sealed well enough. Oh, the car accident free & 32k. Although my 08 MS3 had it's fair share of noises but I would still say it was built to a higher quality than the Si. Woody wrote: "Oh, and don’t forget orange gauges, a Civic Si hallmark since day one. " My '89 Si didn't have orange gauges. Sorry--orange gauge lights. I'll fix that. The first-gen cars should have had that. I don't think it had orange gauge lights either. Maybe CRXs did? I posted this after the review, but it's too heavy. None of them had orange gauges or lighting. You guys have made that error before, and I've corrected you before. 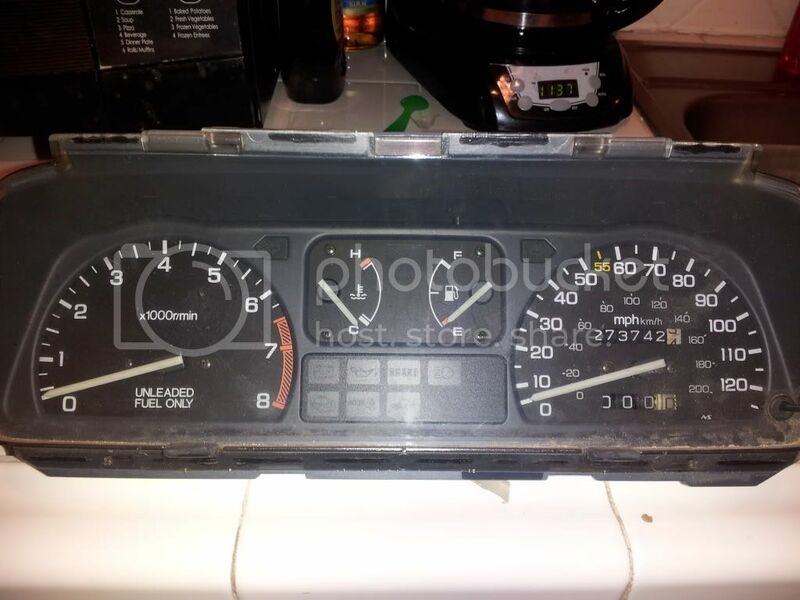 I hate orange gauges (they're hard on the eyes), and I've owned nine '85-'91 Civic/CRX's. And the 2 tier dashboard was introduced in '06, not last year. In reply to MA$$hole: Interested in a Miata as a partial trade? Maybe they got worse as they went along? My FIRST YEAR 04 car had pretty much no issues when it was sold @135k. i love my 2010 Si and how the four door looks. The new four door Si looks like a 90s Kia. I haven't driven the new one but I'm sure it's just as fun and the interior looks neat. The upgrade in torque would be nice too. I personally don't care for the flying saucer look of the Civics and the interior of the things simply doesn't impress me. For the kind of money you're talking for one there's 2 more exciting cars that I'd rather be driving on a regular basis in that category and one that is coming that I'm very interested in. I feel like Honda has reached the same point as Toyota 15 years ago and simply had every model in their inventory turn into an appliance. Nothing they make in their automotive division interests me at all anymore. I've seen a few of the new ones on the road. As a former Accord coupe/Civic/Integra owner I really WANT to like something new that Honda is putting out (other than the trucks), but every time I see one of the new ones, I instinctively yawn. And I wanted an Si for years in the mid- and late-90s. The fit sport is more exciting to me than an Si. Seriously. mazdeuce wrote: The fit sport is more exciting to me than an Si. Seriously. True, I wonder if there would be any market for a Fit Si? Has anyone put a K24 in a Fit? In for FIT Si. Also, I feel like Peter Griffin any time I pass a new Civic (dunno if this is the case w/the Si, but:) every time I see the big doofy digital dash, I say "HEY, HOW FAST YA GOOOOIN???" as I lean in. I was going to say "if the new Civic has officially taken over the size slot left from the '90s Accords, then where's my Fit Si?" Beaten to the punch. So? Where the bloody blue hell is my Fit Si? There will always be the diehards, but they either need more power(to keep up with the times) or who knows what. Also, is it just me, or does it look like a progression to looking more like a prius? someone in my office building just bought one of the new Si sedans. the new civic is nearly the same size as late 90's accords, but they haven't gotten a real power bump since 06 when the last new civic body style came out, and even the same hp k20a2 had been around since 2001 in japan, and has forever made 200hp and 130tq. 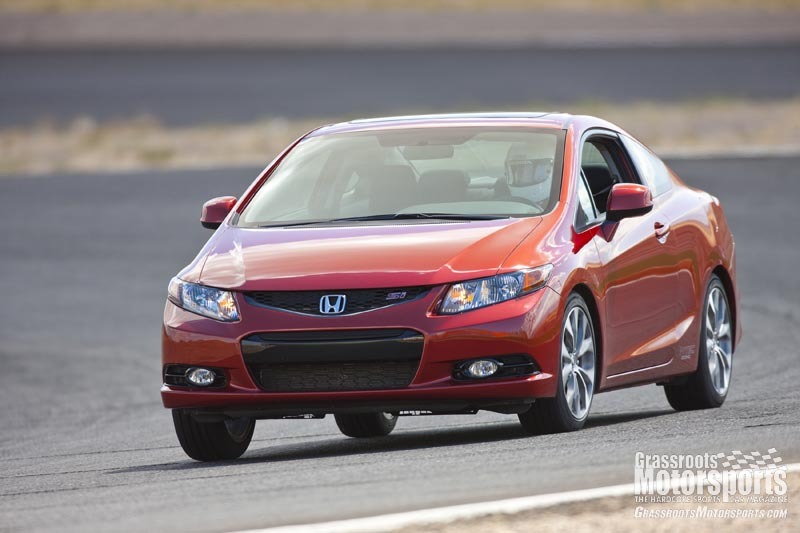 the civic si keeps getting fatter with the same powertrain to drag it around. i had a k20a2 powered rsx-s at one time, and even it could have stood to drop a few pounds to really feel good and nimble.